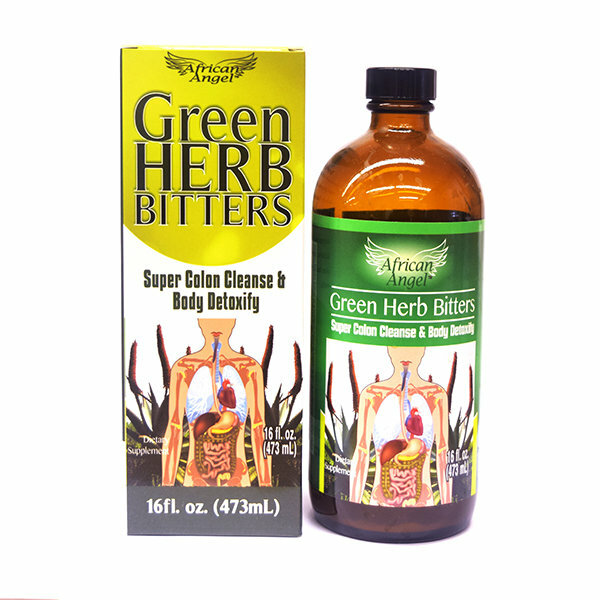 Green Herbs Bitter is a potent natural healthy tonic prepared under strict hygienic condition help to flush and detoxify the liver and gallbladder. Dissolve, remove, and clear the kidney from decayed tissues and dead corpuscles, normalizes the function of the kidney. Clean and breakup blood congestion, clear buildup of cholesterol in the arterial walls. INGREDIENTS: Milk Thistle, Barberry, Licorice Root, Sarsaparilla, Green Tea, Dandelion, Chickweed, Fennel Seed, Cascara Sagrada, Psylliu, Flaxseed, Burdock Root, Pau d'Arco, Habanero Pepper, Cinnamon, Astragals, Uva ursi, Hawthorn Berry, Ginseng, Aloe, Feroz, Rhubarb Root, Marshmallow Root, Distilled Water. DIRECTIONS: Take 2 ounces in the morning and again in the evening, after your meal until you are satisfied with the cleanup results. WARNING: Keep out of reach of children, not to be taken with pregnancy, during menstruation, Diarrhea, bleeding piles. In case of any medical condition consult your doctor.